For reference see a list of the personalities connected with British foreign policy towards the Arab Middle East, 1914–19. A series of events to mark the 100th anniversary of the Balfour Declaration is already getting underway. Meanwhile Palestinian officials have long branded the declaration a “crime,” and earlier this year officials in Ramallah announced plans to sue the British government over the 99-year-declaration. On 16 Nov. 2016 also, the British Parliament itself debated the Balfour Declaration and its 2017 centennial. Yet even professionals are often not familiar with the details surrounding the Balfour Declaration, thus following a three part detailed investigation. Another key issue (which we shall explore in this first part) is the above also reflects on the struggle between Asquith and Lloyd George which split the upper echelons of the British government in the course of the First World War into two rival factions that were at odds over the question of the goals of the war, the way it should be conducted, and the outlines of the desired peace agreements and territorial arrangements that would follow it. Whereby the Balfour Declaration was published as part of the struggle taking place on the question of the future of the Ottoman Empire. There is however scholarly consensus that in the first two and a half years of the First World War, up to early 1917, the Zionists’ efforts to persuade the British government to support their aims in Palestine did not bear fruit. There is further agreement that the beginnings of the turnabout that led to the Balfour Declaration were in December 1916, following the dismissal of Prime Minister Herbert Henry Asquith, who was replaced by his political opponent and rival for the leadership of the Liberal Party, David Lloyd George. Lloyd George instigated a transformation in British policy in the Middle East, one of whose outcomes would be the publication of the Balfour Declaration. The struggle between Asquith and Lloyd George reflected a deep divide which split the upper echelons of the British government in the course of the First World War into two rival factions that were at odds over the question of the goals of the war, the way it should be conducted, and the outlines of the desired peace agreements and territorial arrangements that would follow it.4 In light of the nature of the changes that both factions sought to bring about in the Middle East, the faction headed by Asquith will be referred to as the “reformist,” whereas that led by Lloyd George will be called the “radical” faction, definitions that characterize the origins of the dispute between the two men even before the war.5 The inter-factional struggle first emerged over the question of the theater of war in which the British war effort should be invested. The radical faction contended that in view of the stalemate on the Western Front, Britain should strive to decide the war by opening a second front against the Ottoman Empire in the east, whereas the reformist faction held that since the war would be decided in the west in any case, Britain should continue concentrating its efforts there. The strategic dispute between the “Easterners” and “Westerners” led to a fierce debate on the British war aims: whether to strive for a military defeat of the Ottoman Empire as the radical faction claimed, or whether Britain should attempt to remove it from the war by diplomatic means, as the reformist faction held. These opposing goals derived from a more fundamental disagreement on the question of the territorial and political arrangements that should be instituted in the Middle East after the war. The radical faction sought to dissolve the Ottoman Empire and partition it, dividing it between the Entente Powers, as a means of consolidating Britain’s imperial hold in the Middle East, whereas the reformist faction sought to preserve the Ottoman Empire’s territorial integrity while instituting reform of the existing regime and administration.6 There was, then, a political continuum in the opposing positions taken by the two rival factions on the Middle East issues that were on the agenda in the course of the war: division of the Middle East into colonial spheres of influence was conditional upon dissolution of the Ottoman Empire, avoiding a “peace without victory” and continuation of the war until its military defeat. 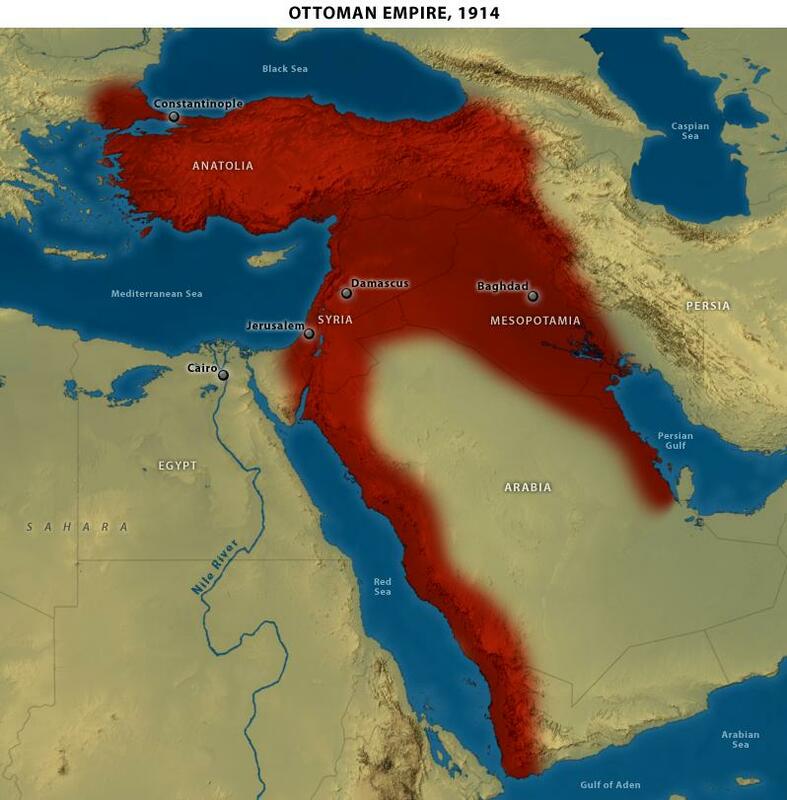 This policy required the opening of a second front in the Middle East and the conquest of Ottoman territories, and vice versa. In this sense the Balfour Declaration obviously reflected the radical policy: it acknowledged that Britain was acting toward partition of the Ottoman Empire, and its publication was intended to thwart the reformists’ efforts to end the war with a treaty that would preserve Ottoman territorial integrity. As we have earlier seen, when Mark Sykes returned to England he was thrust into negotiations with M. Charles François Georges-Picot, French counselor in London and former French consul general in Beirut, to try to harmonize Anglo-French interests in ‘Turkey-in-Asia’. Picot on the other hand had ‘expressed complete incredulity as to the projected Arab kingdom, said that the Sheikh had no big Arab chiefs with him, that the Arabs were incapable of combining, and that the whole scheme was visionary.' The Arab question and the ‘shocking document’ that shaped the Middle East. Showing things were not going to well, Britain’s defeat at Gallipoli was followed by an even more devastating setback in the war against the Ottomans: The Menace of Jihad and How to Deal with It. French rivalry in the Hijaz; the British attempt to get the French government to recognize Britain’s predominance on the Arabian Peninsula; the conflict between King Hussein and Ibn Sa’ud, the Sultan of Najd; the British handling of the French desire to take part in the administration of Palestine; as well as the ways in which the British authorities, in London and on the spot, tried to manage French, Syrian, Zionist and Hashemite ambitions regarding Syria and Palestine. The ‘Arab’ and the ‘Jewish’ question. The British authorities in Cairo, Baghdad and London steadily lost their grip on the continuing and deepening rivalry between Hussein and Ibn Sa’ud, in particular regarding the possession of the desert town of Khurma. British warnings of dire consequences if the protagonists did not hold back and settle their differences peacefully had little or no effect. All the while the British wanted to abolish the Sykes– Picot agreement. The Syrian question. However, initially, Asquith and his foreign secretary, Edward Grey, perceived the preservation of the territorial integrity of the Ottoman Empire as a basic principle of their policy during the war. Similar to other issues connected with the future of the Middle East, the questions of Britain’s attitude toward Zionism in general and of publication of a British declaration of support for its goals in Palestine in particular were a bone of contention between the radical and reformist factions. Whereas Lloyd George and the radicals perceived realization of the Zionists’ aspirations as a means of advancing dissolution of the Ottoman Empire and extending British imperialism to Palestine, the reformists rejected such a linkage. Therefore, so long as he remained prime minister, Asquith blocked any pro-Zionist decision, realizing that its significance and implications would obstruct the reformist policy of preserving the integrity of the Ottoman Empire. Support of Zionism was likewise supposed to assist the radicals in circumventing the opposition of US President Woodrow Wilson to partition of the Ottoman Empire. Since Wilson recognized the right of the various “small nations” in Europe to self-determination, the radicals felt that they would be able to overcome his opposition to their imperialist policy by disguising it as support for the establishment of Jewish, Arab, and Armenian nation-states under the aegis of the Entente Powers. To promote this policy, once they came to power at the end of 1916, the radicals instigated relations with Weizmann and his Zionist supporters, which matured in less than a year into the Balfour Declaration. Weizmann formulated his version of the Zionist war aims while the dispute between the reformists and radicals was heightening. At the beginning of 1915, not only did Weizmann espouse radical policy, he also contributed to the formulation of its strategic and economic premises and acted to persuade British politicians and opinion leaders to support it. Weizmann’s definition of the preconditions and goals of the Zionists’ war aims – establishment of a British protectorate in Palestine that would enable the Jews to develop into a nation in its own right 8 – was, then, congruent with the radical agenda in the entire gamut of military and diplomatic issues that were in dispute between the radical and the reformist factions. In this way, Weizmann combined Zionist aspirations with radical policies and acted toward their mutual realization as both a Zionist leader and a British statesman. Therefore, whereas Weizmann’s positions engendered opposition among the reformists, they formed a basis for close cooperation with the radical leadership that eventually led to the Balfour Declaration. The key issue in the history of the Balfour Declaration is, therefore, the significance and implications of the reciprocal relations between the radical policy led by Lloyd George and the Zionist policy promoted by Weizmann. Weizmann espoused the radicals’ positions in the winter of 1914–15, following the advice of Baron Edmond de Rothschild, who persuaded him that it would only be possible to attain Zionist aims within the political framework preached by the radicals. In the course of the war, Weizmann gained the support of many Rothschild family members in France and Britain who actively supported his Zionist agenda, which they considered to be a means to advance radical policy.9 Thus, in his emergence from Zionist lobbyist to British statesman, Weizmann turned his connections with the Rothschilds from a personal relationship into a vital political asset. Inspired by the Rothschilds, he acted to shape radical policy in accordance with the goals of Zionism, just as he adapted Zionist goals to radical premises, a combination that culminated in the formulation of a “Zionist-radical” policy. The cooperation between Weizmann and Baron de Rothschild was forged in the course of 1914 as part of the efforts to establish a Hebrew university in Jerusalem, and it further deepened during the war. In August 1914, when on his way back to Britain from a vacation cut short by the outbreak of the war, Weizmann met the Baron in Paris and discussed the expected effects of the war on the Zionist movement.10 At this stage the Baron had not yet formulated his policy on Palestine, and in his view, “everything must remain suspended at this crisis.”11 He therefore recommended that in the meantime Weizmann take action in Britain to enlist in-principle support for the Zionist idea, and wait and see how matters would develop in the course of the war. Turkey’s entry into the war and Asquith’s statement on November 9, 1914, that this heralded the end of its rule in Asia brought about a change in Weizmann’s diplomatic priorities and placed the future of Palestine at the top of his agenda. He wrote to Ahad Ha’am – a prominent Zionist ideologue – that “we should emerge from our torpor and do something.”17 The change in Weizmann’s Zionist priorities attested to his lack of orientation in the maze of British politics. Jehuda Reinharz emphasized that Weizmann could not have known that Asquith’s speech was “not much more than momentary rhetoric. During the first half of the war, the British government had no intention of dismembering the Ottoman Empire,” and unaware of Asquith’s reformist views, the Zionists took his speech “at its face value.”18 By contrast, as part of the British ruling elite, the Rothschilds were aware of the interfactional rivalry that split the government, and came down on the side of Lloyd George and the radicals. The Rothschilds’ support of the radicals was not self-evident. Ever since the Crimean War the Rothschilds had adopted a paradoxical policy in the struggle that was waged among the European powers on the future of the Ottoman Empire. On the one hand, they displayed deep skepticism regarding the durability of the Ottoman regime. Moreover, as Niall Ferguson states, since 1882 they had “benefited directly from the British occupation of Egypt,”19 and accordingly they were mindful of the business opportunities and financial profit inherent in partition of the Ottoman Empire into spheres of colonial influence. On the other hand, they consistently opposed partition proposals that were occasionally aired on the European diplomatic agenda, due to what they considered as their negative effects on the inter-power alliance system,20 and eventually supported the status quo as the lesser of the two evils. This complexity was revealed in Baron de Rothschild’s position, whose attitude toward partition of Turkey was based, according to Simon Schama, on an assessment of “the endurance of Ottoman power.” Before the war the Baron had thought that “[s]o long as Turkey remained master of the Levant,” then any attempt “to constitute a separate Jewish nationality” and any plan to establish “a Jewish political entity” in Palestine was utopian and would disrupt the possibility of “quiet immigration and settlement” there.21 Turkey’s decision to join the Central Powers led to a turnabout in the Baron’s position. In his opinion, the entente between Britain, France, and Russia against Turkey created “an unprecedented combination in modern times,”22 in the wake of which “the partition of the Empire was likely to be on any war-aims agenda”23 and therefore the Jews should exploit this situation. After identifying an opportunity to dissolve the Ottoman Empire in a way that suited Rothschild interests, the Baron acted to recruit Weizmann and the Zionist leaders close to him into the ranks of the radical faction. In the early days of the war a turnabout also took place in the Rothschilds’ relations with Lloyd George. In the decade prior to the war, Natty and Lloyd George were on opposite sides of the political and ideological divide and were the symbols of rival social world views and policies in Britain. In 1909 Natty voiced his opposition to Lloyd George’s “People’s Budget”– which in many respects marked the inception of the British welfare state – and presented it as a danger to private property, economic stability, and the country’s wellbeing, whereas Lloyd George responded with venomous counter-propaganda that presented Natty as the incarnation of the plutocratic power that thwarted every social reform in Britain.28 The outbreak of the First World War placed relations between the two men on a new footing. James’s recommendation that the Zionists should not stop at the demand for settlement of Jews in Palestine, but radicalize their demands for a Jewish state, reflected the political contrast between the reformists, who were prepared to support settlement of Jews in Palestine as part of the reorganization of the Ottoman Empire, and the radicals, who viewed a Jewish state as a means of partitioning it. Although James contended that the demand for a Jewish state would help in gaining the British statesmen’s support, in view of Asquith’s and Grey’s opposition to this demand, it seems that the inaccuracy if not the misleading tenor of James’s advice was meant to enlist Weizmann, and through him the Zionist movement, to assist the radicals and Lloyd George. The details of the meeting provided by Weizmann are congruent with the political direction that had already been indicated by James. The Baron’s suggestion that the Zionists should demand “a Jewish State,” and his promise that he would lend them his full support o that end, as he indeed did, demonstrate his intention of enlisting the Zionists’ aid in promoting radical policy. It emerges, then, that already at the end of 1914, following their political and business considerations, the Rothschilds had identified the war as an opportunity to dissolve the Ottoman Empire, and they recruited Weizmann to lead the enlistment of the Zionist movement as a means for the realization of this policy. The radical faction would espouse this approach to Zionism in the first months of 1915, but put it to use only in the course of 1917. The Rothschilds, then, identified the advantages that the radicals would gain from supporting Zionism early on, and were the first to combine the two. This combination blurred the difference between radicalism and Zionism in the Rothschilds’ activities on the one hand, and those of Weizmann on the other, but it did not annul it. The Rothschilds were first and foremost radicals, whereas Weizmann was first and foremost a Zionist. This difference was to bear little significance in the course of the war, but was to be of importance after it. Following the Rothschilds, then, from late December 1914 Weizmann defined the Zionists’ war aims in a way that was congruent with the coalescing positions of the radicals: making Palestine a British protectorate that would allow Jewish settlement. However, Weizmann not only espoused radical positions but also contributed substantially to their formulation. Weizmann’s activity as one of the radical policymakers cemented his relations with Lloyd George and his supporters, but it blocked access for him and his Zionist followers to the reformist government headed by Asquith and Grey. Therefore, until Asquith’s dismissal and replacement by Lloyd George in December 1916, Weizmann and the Zionist-radicals had no influence over the shaping of British policy in the Middle East and Palestine. Furthermore, during this period the British government repeatedly considered the option of supporting Zionism as a means of anti-German propaganda in Russia and the United States. To that end it initiated contact with various Jewish and Zionist leaders, but ignored Weizmann and his followers. Stein emphasized that “from the spring of 1915 until somewhere near the end of 1916 Weizmann was absorbed in his scientific work, and his Zionist interests ... had to be fitted in with his prior obligations to the Government.”59 It seems, however, that the reduction in “his Zionist interests” at this time was not the result of his scientific commitments, but of reformist control over British policy. And indeed, after Lloyd George instigated the radical turnabout in the British Middle Eastern policy in early 1917, Weizmann easily surmounted the time limitations imposed by his scientific work and devoted himself to advancing the Zionist-radical agenda. A distinction should therefore be drawn between three discrete periods in Weizmann’s political activity in the course of the First World War: the first, between the outbreak of the war in the summer of 1914 and spring 1915, a period during which he espoused radical views and assisted in their formulation into a political program; the second, between the summer of 1915 and Asquith’s dismissal at the end of 1916, in which, despite the personal prestige he gained as a result of his scientific contribution to the British war effort, his radical positions made him irrelevant to the reformist decision makers; and the third, following Lloyd George’s appointment as prime minister at the end of 1916, a period in which as a radical statesman Weizmann became an active partner in the making of British radical policy in the Middle East, one of the outcomes of which was the Balfour Declaration. In the summer of 1916, as the man in charge of Middle East affairs at the Secretariat of the Committee for Imperial Defense, Sykes sought to establish contact with representatives of the Zionist movement. In this he was aided by Samuel – who in early 1916 had made him aware of the potential inherent in British-Zionist cooperation – and who referred him to Rabbi Moses Gaster, rabbi of London’s Sephardic community and Weizmann’s rival in the British Zionist leadership.63 After Sykes held several meetings with Gaster in the summer of 1916, he started to wonder whether the rabbi actually represented the Zionists, and in January 1917 he sought to establish contact with the “real leaders of the Zionist movement.”64 It seems that Sykes’s doubts about Gaster actually arose in January 1917 due to the new avenue that had opened up for radical policy with Lloyd George’s appointment to the premiership in December 1916. Gaster held clear reformist views: according to Weizmann he was “so furiously anti-Russian that he appeared almost pro-German,” and he felt that the Zionists’ contacts with the British “were pointless” in view of “England’s dark prospects in the war.”65 Consequently, Gaster opposed exclusive British rule in Palestine, preferred joint British-German rule over the possibility of British-French rule, and warned that the Zionists should not pin their hopes solely on Britain, which, he emphasized, would be a “dangerous game.”66 What Sykes could possibly infer from Gaster’s position was therefore that in contrast with radical policy, the Zionists wished that the war should end with an agreement with the Central Powers. Sykes’s approach to the Zionist-radical leadership in early 1917 led to a major transformation in Weizmann’s political standing. From the outbreak of the war until Asquith’s fall, it was Weizmann who sought paths to British statesmen and officials to request their aid, but his efforts were blocked due to his radical positions. Now, it was Sykes who approached Weizmann and Sokolow and requested their assistance to advance radical aims. The co-opting of Weizmann and the Zionist-radicals into Lloyd George’s administration transformed them from lobbyists into partners, and Sykes used their help to promote three major goals of the radical policy: the fight against Wilson’s “peace without victory” policy; the establishment of “Greater Armenia” as a Russian protectorate that included Turkish Armenia; and the replacement of joint British-French rule in Palestine, in the spirit of the Sykes-Picot Agreement, with an exclusive British protectorate. The struggle against Wilson’s policy occupied a central place in Sykes’s approach to the Zionist-radicals. This was revealed in Malcolm’s memoirs, which reflect the radical perception of American-British relations in the winter of 1916–17.71 From mid-1916 – about a year before the United States entered the war – tension had repeatedly risen between Lloyd George and Wilson as a result of their opposing policies on the question of the war aims of the Entente Powers and the nature of the desired peace arrangements.72 As a radical, Lloyd George strove to end the war with a military victory, not a political agreement, so that it would be possible to force upon the Central Powers a “Carthaginian peace,” such as that eventually dictated to Germany at the end of the war in the Treaty of Versailles, and to Turkey in the Treaty of Sèvres. Accordingly, Lloyd George wanted the United States to join the Entente Powers not only for its military and economic contribution, but also in order to reduce Wilson’s diplomatic leverage and curtail his ability to mediate between the belligerents and impose a “peace without victory” on them. By contrast, Wilson saw American neutrality as a means of exerting pressure on the belligerents to end the war through negotiation, similar to the position adopted by the reformist faction in Britain toward Turkey. And indeed, in mid-1916 Wilson intensified his efforts to achieve a “peace of compromise,” whereas Lloyd George demanded that the war continue until its end in a “knockout,” and attacked Wilson for attempting to prevent a British victory. In December 1916, at the same time that German peace feelers were being sent out, Wilson embarked on yet another mediation initiative with the demand for “peace without victory.” Lloyd George, who in the meantime had become prime minister, was determined to foil Wilson’s initiative. Sykes’s negotiations with the Zionists therefore appear to be a translation of Scott’s radical reflections into practical politics. The main issue for which Sykes worked to enlist the Zionist-radicals’ assistance – a British protectorate in Palestine – was raised at the meeting at Gaster’s home on February 7, 1917.
factors,75 the more plausible one of which was Gaster’s blatantly reformist views. It therefore seems that by preferring Sokolow, Weizmann’s aim was to change the composition of the Zionist leadership in Britain in order to make it more likely to take advantage of the opportunities opened up by the nascent cooperation with Lloyd George’s radical administration. The peace negotiations held separately by Lloyd George and by Balfour with the Turks in summer 1917 had failed. At the same time, in mid-1917, Wilson advanced reformist initiatives of his own, the most notable of which was the Morgenthau Mission to discuss a peace agreement between Turkey and the Entente Powers. In response, the radicals dispatched Weizmann, as Britain’s delegate, to a conference held in Gibraltar with the Americans and the French, in order to thwart Morgenthau’s mission. Weizmann’s appointment clearly attests to his senior position in the inner radical power structure, as well as to the Zionist-radicals’ inclusion in Lloyd George’s administration. Balfour’s reformist opposition challenged Lloyd George’s radical policy, but at the same time, the foreign minister was careful not to confront the prime minister directly. This duality was manifested in a meeting between Weizmann and Balfour on March 22, 1917, at which Weizmann examined Balfour’s attitude to radical-Zionism.91 The talk digressed from the Zionist context to defining the limits of the radical hegemony and the prospects of the reformist opposition under Lloyd George. Weizmann noted that at this meeting “for the first time we had a serious talk on practical questions connected with Palestine. He gave me a good opening to put before him the importance of P. from a British point [of] view, an aspect, which was apparently new to him.”92 In a letter to Scott, Weizmann also emphasized that “Mr. Balfour did not at first see the importance of the Zionist claim from the British point of view; I think I succeeded in explaining that to him.” As in his meetings with Scott in early 1915, Weizmann tried to moderate Balfour’s opposition to radical policy through Zionism, but it seems that in contrast with his assessments he failed in this attempt. As a substitute for British Palestine, Balfour proposed “to bring in the Americans and have an Anglo-American Protectorate over Palestine,”93 which in view of Wilson’s policy meant a protectorate in the framework of the Ottoman Empire and as part of the structural reform of its regime. Balfour continued to adhere to this position both during his visit to the United States in May 1917 and later, in June, at the start of the discussions on the declaration that would come to bear his name.94 Even if, as Weizmann noted, Balfour “was not very familiar” with the “practical aspect” regarding Palestine, he was totally aware of the political significance of Weizmann’s position. And indeed, Balfour noted that Lloyd George “took a view which was identical” with the one presented by Weizmann, and suggested that Weizmann meet with him.95 In light of Balfour’s reformist policy, his suggestion can be interpreted as a signal that he would not act to promote Weizmann’s ideas. Weizmann departed for Gibraltar on June 29, 1917.109 On the way, in Paris, he met with Baron de Rothschild who voiced his concerns about the Morgenthau Mission and cautioned him to “be very careful” to avoid falling into a trap “which could be laid on for us.”110 For two days in early July Weizmann held talks with the American delegation headed by Morgenthau. Following the radical policy, Weizmann made it clear that “the British Government would not consider a peace with Turkey unless it were satisfied that Armenia, Mesopotamia, Syria and Palestine are to be detached from the present Turkish Empire.”111 At the conclusion of the conference Morgenthau announced the termination of his mission. In Trial and Error, Weizmann related that “[i]t was no job at all to persuade Mr. Morgenthau to drop the project. Weizmann’s radical positions were therefore the key to the status he acquired in Lloyd George’s administration, which perceived him as a partner in the making of the policy of partitioning the Ottoman Empire and annexing Palestine to the British Empire, a policy that informed the publication of the Balfour Declaration. Thus far, historians have not attributed adequate importance to Weizmann’s radicalism, a fact that might explain the dead end arrived at by the historiographical debate on both the question of “why the Balfour Declaration was made,” as well as that of Weizmann’s contribution to its publication. However, Weizmann’s contribution to the British war effort and his relations with government officials did not accord him any political influence during the period of Asquith’s reformist government. This fact undermines the logic of Stein’s and Reinharz’s arguments. It therefore seems that Weizmann’s scientific contribution and his personal relationships lacked any political effect while the reformists were in power. Hence it was his radical involvement, not his scientific contribution, that from the outset was at the root of Lloyd George’s trust in Weizmann and the source of Weizmann’s ability to influence British policy after Lloyd George became prime minister at the end of 1916. Thus, by embedding Zionism within the radical agenda, Weizmann had transformed Zionism into a political asset for Lloyd George’s government, accorded himself a status that had turned him into a part of the inner radical power structure, and enabled him to influence the moves leading to the Balfour Declaration. In June 1917, together with his efforts to thwart the Morgenthau Mission, Weizmann held talks with senior Foreign Office officials on publication of a declaration in which “the British Government should give expression of its sympathy and support to the Zionist aims and should recognise the justice of the Jewish claims on Palestine.”120 Within four months these contacts were to mature into the Balfour Declaration. Two separate developments accorded an increasing measure of urgency to the Declaration in June 1917. First, British officials were concerned about the growing tendency in Russia toward a separate peace with Germany; to frustrate this drift the British administration reconsidered supporting the Zionists as a means of enlisting the Jews of Russia to a propaganda effort with the aim of influencing Russian public opinion to support the continuation of the war alongside the Entente Powers. And second, they aspired to foil Wilson’s efforts to achieve a separate peace with Turkey in exchange for preservation of its territorial integrity in Asia. To secure this second goal, the radicals extensively used the principle of national self-determination – promoted by Wilson in Europe – as a pretext for dissolving the Ottoman Empire in Asia, and sought ways of using Zionism to this effect. These political considerations, particularly the second one, explain why the publication of a pro-Zionist Declaration became an urgent radical interest in the summer and autumn of 1917.
logic, since both Stein and Reinharz ignored Balfour’s reformist policy, which opposed the Declaration, in principle, due to its radical repercussions. And indeed, it seems that Balfour used the absence of French accord only as a pretext for his opposition to the publication of the Declaration. Weizmann detected this in the course of their talk on March 22, 1917, and reported to Scott that “my feeling was that Mr. Balfour does not attach very much importance to the French claim and certainly does not attach any value to the French holding Palestine,” and that he would have preferred either internationalization of Palestine or an Anglo-American protectorate.132 Balfour continued to hold this opinion during his visit to the United States in May, and when he returned to London in June. It is therefore difficult to assume that it was Cambon’s letter that changed his opinion. Furthermore, Cambon had conditioned French support of Zionism on the victory of the Entente Powers,133 a move that ran counter to Balfour’s reformist inclination, as demonstrated in those same days by his attitude to the Morgenthau Mission. The contribution of the Board of Deputies resolution to the change in Balfour’s opposition to the Declaration is even more doubtful. Indeed, Graham noted that following this vote the British government “will no longer [need] to consult” with the Conjoint Foreign Committee that represented the Board of Deputies and the Anglo-Jewish Association on questions of foreign policy.134 However, these organizations, which traditionally opposed the national element in Zionism, had lost their influence much earlier, with the establishment of Lloyd George’s radical government, which preferred to deal with Weizmann and the Zionist-radicals. A different explanation is therefore required for the abrupt change that took place in Balfour’s position on the Declaration. The accepted interpretations describe the Morgenthau Mission and its thwarting as a subplot in the history of British-Zionist relations that led to the Balfour Declaration. In accordance with the agreement reached at their meeting on June 19, 1917, Weizmann and Rothschild were to submit to Balfour on behalf of the Zionists a draft proposal of the Declaration as the basis for a cabinet discussion.137 On June 20, Weizmann gave Sacher the task of preparing the draft, based on the following principles: it would state that “the British Government declares ... its intention to support Zionist aims for the creation of a Jewish national home in Palestine,” but without going into “the question of the Suzerain Power” in order not to make it difficult for the British.138 The principles proposed by Weizmann were far closer to the final wording of the Declaration than the draft that was finally submitted by the Zionists to the Foreign Office, which extended the scope of the British assurance to “the principle that Palestine should be reconstituted as the National Home of the Jewish People.”139 It is difficult to reconstruct Weizmann’s considerations in reducing the outlines of the Zionist demand. Were they the result of a cautious approach like that of Sokolow, who warned that “if we want too much we will get nothing,”140 or perhaps more reasonably they were the fruit of Weizmann’s assessment of the limits of the possible Zionist achievement in view of his awareness of the power relations between the various rival factions in the British government? Weizmann left for Gibraltar at the end of June. Before leaving he transferred supervision over the formulation of the Zionist proposal for the Declaration to Rothschild, who submitted it to Balfour on July 18, 1917. In accordance with the understanding with Balfour, in Weizmann’s absence Rothschild was to convey the proposed Zionist draft on his own, but Weizmann went a step further and dictated that the wording of the draft declaration would be subjected to Rothschild’s supervision and veto. In a letter to Sacher, Sokolow, who coordinated the preparation of the Zionist draft, explained that “[t]he formula or formulas chosen will have to be given to Lord R. for his suggestions; this has been decided before Chaim left,” and should Rothschild oppose the proposed wording, he – Sokolow – “wouldn’t be able to ignore it.”141 A possible explanation for transferring supervision over the formulation of the proposed Zionist declaration draft to Rothschild may be found in the increasing tension that had arisen between Weizmann and the close circle of his Zionist supporters in the summer of 1917. This military context – like the conquest of Aqaba by Arab forces led by Lawrence in July and their continued advance toward Damascus156 – made the question of the future of the Ottoman Empire even more urgent. In this sense, the British cabinet discussions on the pro-Zionist declaration in the autumn of 1917 were the climax of the radical-reformist struggle, and the decision to publish the Declaration was in fact a manifestation of the radicals’ triumph: it was a decision in favor of the dissolution and partition of the Ottoman Empire and expansion of the British Empire in the Middle East. Balfour, who realized that Lloyd George was determined to publish the Declaration, relinquished any further struggle and joined the Declaration’s supporters. Accordingly, in the spirit of the Weizmann-Rothschild memorandum of October 3, Balfour refuted the arguments raised by Montagu at the previous cabinet meeting, and stressed the urgency of publishing the Declaration in view of the assessment and concern – which proved to be erroneous – prevailing in the Foreign Office regarding German efforts to get the Zionists on their side by publishing their own declaration of sympathy with Zionist goals in Palestine. Following the cabinet decision, in addition to Montagu, nine Jewish leaders were asked for their opinion on the proposed Declaration and its wording, a step that formed a new intra-community arena for the struggle between supporters and opponents of the Declaration. The lists of non-Zionist and of Zionist leaders were compiled in consultation with Montagu and Weizmann, respectively.171 The factional considerations that guided the compilers of the lists were reflected in the case of Gaster: his candidacy to be one of the pro-Zionist respondents was put forward but rejected on the grounds that the quota of Zionist respondents was filled;172 however, the fact that Weizmann preferred other Zionist leaders may show that the cause of Gaster’s rejection was his reformist positions. Within a month, then, Wilson had changed his policy regarding the Declaration: on September 11, 1917, he had believed that “the time was not opportune,” and on October 13 he approved its publication. This volte face, which has raised ongoing unresolved scholarly controversy,179 might be elucidated in the interpretative framework of the reformist-radical struggle. From Wilson’s reformist perspective, the Declaration was a radical move that advanced the dissolution of the Ottoman Empire, and as such he opposed it. Thus, in September Wilson answered in the negative because the reformist-radical struggle in the War Cabinet had not been decided yet, and his opposition to the publication of the Declaration strengthened the British reformists. However, in October, like Balfour, Wilson realized that Lloyd George was going to win and his opposition would not prevent the publication of the Declaration. Under these circumstances, he notified the British that he would not object to the Declaration, on condition that his acquiescence would be kept secret, namely, he would be able to pursue his reformist policy. And indeed, only in October 1918 did Wilson partially confirm the US’s support of the Declaration, and full support was expressed only after the war.180 The cabinet was to discuss the Declaration again on October 25, 1917, but the discussion was postponed to allow Curzon to submit a memorandum summarizing his objections, which were addressed in Sykes’s pro-Zionist counter-memorandum.181 The final discussion on the Declaration took place in the War Cabinet on October 31. In the absence of Montagu, who had left on a political mission to India on October 18,182 and over Curzon’s mild objections, Balfour’s proposal that “from a purely diplomatic and political point of view, it was desirable that some declaration favourable to the aspirations of the Jewish nationalists should now be made”183 was accepted and the cabinet adopted Milner’s second version, which became the Balfour Declaration. It seems, then, that although he gave up on the publication of the Declaration, Balfour still advanced the reformist agenda. He reiterated the idea of an American or other – Anglo-American, for example – protectorate. Moreover, Balfour maintained that the Declaration did not necessarily mean a “Jewish State,” and could be interpreted as a “centre of national culture and focus of national life.” These opposing policies were the core of the radicalreformist struggle, and by juxtaposing them Balfour pointed to the possibility of foiling the radical use of the Declaration in the future by according it a reformist interpretation. The struggle for publication of the Balfour Declaration was, then, just another arena for the ongoing struggle between the radicals and the reformists. The disagreements between the supporters and opponents of the Declaration were focused on the weight accorded in it to the term “national home,” its political content and geographical borders, coupled with the role to be played by the Zionist movement in its realization, and the extent of its influence on Diaspora Jewry and the Arabs in Palestine. The disputes over the national content of the Declaration were endowed with fervent ideological rhetoric that concealed from contemporary public opinion and future scholarly analyses the radical-reformist struggle that informed and determined the making of the Declaration. The radicals viewed the pro-Zionist declaration as a means to advance their policy of dissolution and partition of the Ottoman Empire and annexation of Palestine to the British Empire. To foil the radical policy and keep the struggle on the future of the Ottoman Empire open, the reformists, led by Montagu, strove to challenge the national basis of the Declaration and reduce and limit the scope of British commitment to the Zionists. Montagu – a son of a leading family of the Anglo-Jewish plutocratic establishment185 – was appointed Secretary of State for India on July18, 1917, the day that Rothschild sent the draft Declaration to Balfour. When the news of his appointment became known, Rothschild told Weizmann that “I was afraid we were done.”186 Rothschild’s fear reflected the potential risk inherent in Montagu’s opposition to the Declaration as a result of his standing in the Liberal Party and the reformist faction, coupled with his Jewish origin, and his family’s status in the Anglo-Jewish community and British politics. After his first election to Parliament as a Liberal MP in 1906, Montagu became one of Asquith’s closest confidants, and under his sponsorship climbed the ministerial ladder, reaching the top in July 1916 when he succeeded Lloyd George as Minister of Munitions. As a loyal Asquithian an avowed reformist, in the course of the war Montagu was at the forefront of the reformist struggle against Lloyd George and the radicals. Paradoxically, Montagu’s past alliance with Asquith continued to serve as his main political asset after the latter’s resignation, as well: Lloyd George, who sought to expand the political basis of his coalition and strengthen his own standing in the Liberal Party, acted to bring Asquith’s supporters into his government, and in this context, as one of Asquith’s closest allies, Montagu was perceived as a preferred candidate. After several months of negotiations in which he initially demanded the portfolio of Chancellor of the Exchequer, Montagu agreed to his appointment as Secretary of State for India. Montagu continued to promote the reformist policy in Lloyd George’s radical government. In the course of the final period of the war and during the peace talks that followed, Montagu acted to thwart Lloyd George’s policy of dissolving the Ottoman Empire and curtailing Turkish sovereignty in Anatolia. Montagu also opposed the “Carthaginian peace” that Lloyd George imposed on Germany at the Versailles Peace Conference. His opposition was guided by a broader political-economic perception, as part of which he supported the efforts of John Maynard Keynes – with whom he had collaborated in his various ministerial posts since 1910 – to foil Lloyd George’s German policy. Montagu’s appointment as Secretary of State for India added further dimension to his opposition to Lloyd George’s Turkish policy. In August 1917 he announced in Parliament the “Montagu-Chelmsford Reforms” designed to reduce the colonial basis of British rule in India and advance self-rule there in order to make India a dominion.187 Lloyd George’s anti-Turkish crusade antagonized the Muslims of India and, accordingly, Montagu’s pro-Ottoman policy was intended, inter alia, to ensure their support of his reforms. in view of the radicals’ use of Jewish nationality as a means of promoting dissolution and partition of the Ottoman Empire, he strove to counterbalance it and minimize its influence as part of the reformist struggle against radical policy. The influence of the inter factional struggle on the Declaration is also evident in Milner’s involvement in its wording. Politically and strategically, Milner took the middle ground between the reformists and the radicals.192 On the one hand he thought that long-term considerations dictated that Britain should extend its imperial presence in the Middle East, while on the other he argued that despite this, the constraints of the war called for action to remove Turkey from the war both by increasing military pressure on it and by offering it attractive terms for peace – or as Friedman put it: ensuring that “dismemberment of the Ottoman Empire was no more than a paper division, and that the Allies were prepared to forgo the spoils” – that would make it easier for the Turks to part ways with the Germans and end the war.193 Milner’s position on the question of British support for Zionism was formed within this duality and derived from it. Thus, on May 16, 1917, Claude Montefiore – one of the heads of the Conjoint Foreign Committee – reported that from a talk with Milner, a family friend, he had learned that his opinions “appeared to be between our formula and the full Zionist scheme.” Montefiore further noted that Milner “seemed to favour the establishment of a Jewish community in Palestine, or parts of Palestine, under a British Protectorate. Within its own borders such a community would be autonomous, but it would not be an independent State,” and would be “subject to the control of the British Authority.”194 Stein emphasized Milner’s distinction between “an independent state” and “an autonomous Jewish community in Palestine,”195 a distinction that in the context of the radical-reformist struggle meant the difference between partition of the Ottoman Empire and changing its political structure in such a way that would also allow “British Authority.” These views informed the changes that Milner made to the wording of the Declaration prior to the War Cabinet meeting on September 3. On the one hand, he supported the publication of the Declaration as a demonstration of Britain’s intention of increasing its presence in the Middle East, and on the other, by replacing “the national home of the Jewish people,” which appeared in Balfour’s original draft with “a home for the Jewish people,” he defused the radicals’ use of the national principle to legitimize the partition of the Ottoman Empire, thus leaving the decision regarding the Empire’s future to the peace negotiations. suggestions which are invited to the Zionist organizations,” as stated in the Milner version, and instead he proposed to state that the British government would be “ready to consider any suggestions on the subject which any Jewish or Zionist organisations may desire to lay before it.”196 Montagu’s attempt to break the monopoly attained by the Zionists – in fact, the Zionists-radicals’ monopoly – over relations with the government was guided by the reformist rationale as well. By employing the term “Jewish organizations” Montagu meant to minimize the national effect of the Declaration, thus reducing the benefits the radicals intended to make of it. The Anglo-Jewish organizations he had in mind denied the emphasis that Zionism’s definition of Judaism placed “on nationality, not religion,” as Claude Montefiore put it,197 and rejected the Zionist claim that “the Jewish settlers in Palestine should be recognized ... as possessing a national character in a political sense.”198 At the same time, these organizations supported the premise that Britain would ensure the Jews in Palestine had “reasonable facilities for immigration and colonisation, and such municipal privileges in the towns and colonies inhabited by them as may be shown necessary” as was proposed, for example, by Lucien Wolf in a memorandum submitted to the Foreign Office in early 1916.199 The combination of rejection of Jewish nationalism and adulteration of “the national home” to “municipal rights” was congruent with the reformists’ opposition to the radicals’ use of the national principle as justification for dissolution of the Ottoman Empire, while the assurance of aid for Jewish settlement could be part of the changes the reformists sought to bring about in the structure of the Ottoman regime. Thus, despite the impression formed by his arguments, Montagu’s opposition to the Declaration was not driven by ideological disagreements on nationalism between Jews and Zionists, but by the current political struggle between the reformists and radicals. Analyzing the political rationale that guided the confrontations on the wording of the Balfour Declaration in the War Cabinet enables us to outline the motives behind its publication. As opposed to prevailing interpretations, the Declaration was not the outcome of a British attempt to achieve propaganda, political, or military objectives connected with the war, even though its supporters made extensive use of these reasons. The Declaration was a means in the struggle between the radicals and reformists and an additional step in the realization of radical policy: no less than the Declaration supported Zionism, it was a declaration in favor of dissolution of the Ottoman Empire, its partition, and the annexation of Palestine to the British Empire. Identifying the radical significance of the Balfour Declaration in the framework of the inter-factional struggle in Britain allows a more coherent explanation of Weizmann’s contribution to its publication. From late 1914, on the advice of Baron de Rothschild, Weizmann subordinated his Zionist policy to the radical agenda. Moreover, Weizmann contributed to the formulation of radical policy by turning support for Zionism into one of its underpinnings, and from the early stages of the war he indicated the manner in which support for the Zionist project in Palestine might aid in dissolution of the Ottoman Empire and the expansion of the British Empire in the Middle East. Weizmann’s radical activity aided in building up his status both as a Zionist leader and a British statesman, a duality that enabled him to meld radical policy with a Zionist agenda, the peak of which was reached with the publication of the Balfour Declaration. The true history of the Balfour Declaration and its implementations P.2. The true history of the Balfour Declaration and its implementations P.3. The true history of the Balfour Declaration and its implementations P.4. 1. Sykes, Cross Roads to Israel, 12. 3. Vereté, “The Balfour Declaration and Its Makers,” 63, 49–50. 4. The disagreement between the two factions are at the center of Adelson, “The Formation of British Policy towards the Middle East.” See also Jenkins, Asquith, 350–54, 382–84; Rowland, David Lloyd George, 282–83, 294–300. 5. Scally, The Origins of the Lloyd George Coalition, 3–28, 280–370. 6. Rothwell, British War Aims and Peace Diplomacy, 1–58. 7. Friedman, The Question of Palestine, 15. 8. Barzilay-Yegar, “Crisis as Turning Point,” 241–42. 9. Ferguson, The World’s Banker, 978; Stein, The Balfour Declaration, 182–87. 10. Weizmann, Trial and Error, 189. 11. Weizmann to Leonard Ornstein, October 4, 1914, in Weizmann, The Letters and Papers, 18. 12. Weizmann to Ahad Ha’am, September 16, 1914, in ibid., 8. 13. Weizmann to Jean Fischer, October 14, 1914, in ibid., 20. 14. Weizmann to Israel Zangwill, October 19, 1914, in ibid., 28. 15. Stein, The Balfour Declaration, 177–78; letter to Leopold Greenberg, November 20, 1914, in Weizmann, The Letters and Papers, 50, 69–74. 16. Letters to Leopold Greenberg, November 20, 1914, Harry Sacher and Leon Simon, December 3, 1914, December 4, 1914, December 6, 1914, in ibid., 50, 69–74. 18. Reinharz, Chaim Weizmann, 11–12. 19. Ferguson, The World’s Banker, 838; see also 826–27, 836–39.20. Ibid., 827–28, 833. 21. Schama, Two Rothschilds and the Land of Israel, 193. 22. Ferguson, The World’s Banker, 977. 23. Schama, Two Rothschilds and the Land of Israel, 193. 24. Rothschild, Dear Lord Rothschild, 239. 25. Schama, Two Rothschilds and the Land of Israel, 191; Rothschild, Dear Lord Rothschild, 239. 26. Ferguson, The World’s Banker, 977–78; Rothschild, Dear Lord Rothschild, 239–40, 249–50. 27. Rothschild, Dear Lord Rothschild, 251–52. 28. Ferguson, The World’s Banker, 953–58; Rothschild, Dear Lord Rothschild, 41–44; Davis, The English Rothschilds, 235–40. 29. Kynaston, The City of London, 609–10. 30. Ferguson, The World’s Banker, 965–67. 31. Ibid., 974; Rothschild, Dear Lord Rothschild, 243. 32. Report submitted to the members of the Executive of the International Zionist Organisation, January 1, 1915, in Weizmann, The Letters and Papers, 113. 33. Summary of a conversation with Baron James de Rothschild, November 25, 1914, in ibid., 56. 34. Stein, The Balfour Declaration, 178; letter to Harry Sacher and Leon Simon, December 6, 1914, in ibid., 73. 35. Letter to Charles P. Scott, December 13, 1914, in ibid., 79. 36. Wasserstein, Herbert Samuel, 201–11; Friedman, The Question of Palestine, 8–9. 37. Letter to Ahad Ha’am, December 14–15, 1914, and Report submitted to the members of the Executive of the International Zionist Organisation, January 7, 1915, in Weizmann, The Letters and Papers, 81–82, 114–15. 38. Summary of a conversation with Baron James de Rothschild, November 25, 1914, in ibid., 56. 39. Report submitted to the members of the Executive of the International Zionist Organisation, January 7, 1915, in ibid., 113. 40. Letter to Sir Philip Magnus, January 5, 1915, in ibid., 103. 42. Letter to Vera Weizmann, December 29, 1914, in Weizmann, The Letters and Papers, 100 (emphasis in the original). 43. Letter to Vera Weizmann, December 31, 1914, in ibid., 102. 44. Letter to Jacob Moser, January 7, 1915, in ibid., 107. 45. Letter to Gaston Wormser, June 28, 1915, in ibid., 215. 46. Weizmann, Trial and Error, 190–91; Stein, The Balfour Declaration, 131–46; Friedman, The Question of Palestine, 128. 47. Stein, The Balfour Declaration, 103. 48. Weizmann, Trial and Error, 191–92. 50. On the Samuel-Weizmann relations, see Weizmann, Trial and Error, 191–92. 51. Letter to Charles P. Scott, February 16, 1915, in Weizmann, The Letters and Papers, 154. 52. Reinharz, Chaim Weizmann, 24. 53. Letter to Charles P. Scott, February 16, 1915, in Weizmann, The Letters and Papers, 153. 55. Letter to Charles P. Scott, March 23, 1915, in ibid., 184. 56. Letter to Charles P. Scott, February 16, 1915, in ibid., 154. 57. Letter to Dorothy de Rothschild, February 15, 1915, in ibid., 149–50. 58. Cf. Reinharz, Chaim Weizmann, 209. 59. Stein, The Balfour Declaration, 118. 60. Renton, “Changing Languages of Empire and the Orient,” 652. 62. Renton, “Changing Languages of Empire and the Orient,” 650–54; Friedman, The Question of Palestine, 213; Israeli, “Ha-ma’avak,” 145–47; cf. Auron, The Banality of Indifference, 222–24. 63. Reinharz, Chaim Weizmann, 32–33, 109. 64. Stein, The Balfour Declaration, 360–64. 65. Weizmann, Trial and Error, 230. 66. Stein, The Balfour Declaration, 288–90; Reinharz, Chaim Weizmann, 131. 67. Stein, The Balfour Declaration, 290–95. 68. Hirschler, “Malcolm James Artoon,” 748; Stein, The Balfour Declaration, 362; Gutwein, The Divided Elite, 462. 69. Letter to Joseph Cowen, February 16, 1915, in Weizmann, The Letters and Papers, 152. 70. Reinharz, Chaim Weizman, 109–10. 71. Malcolm, “Dr. Weizmann and the Balfour Declaration,” 9–10; Malcolm, Origins of the Balfour Declaration; Malcolm, Palestine and the Jewish Problem. 72. Martin, Peace without Victory, 22–45; Kernek, Distractions of Peace during War, 6–42; Rothwell, British War Aims and Peace Diplomacy, 59–61. 73. Rothwell, British War Aims and Peace Diplomacy, 62; Friedman, The Question of Palestine, 127–28. 74. Scott, The Political Diaries, 258. 76. Reinharz, Chaim Weizmann, 152-66. 77. Stein, The Balfour Declaration, 377; Reinharz, Chaim Weizmann, 147; Letter to Alfred Read, May 10, 1917, in Weizmann, The Letters and Papers, 405–6. 78. Stein, The Balfour Declaration, 379–83. 79. Reinharz, Chaim Weizmann, 130. 80. Stein, The Balfour Declaration, 378–85; Reinharz, Chaim Weizmann, 147–52. 81. Adelson, Mark Sykes, 143–310; Friedman, The Question of Palestine, 164–76; Martin, Peace without Victory, 22–45; Kernek, Distractions of Peace during War, 6–42; Rothwell, British War Aims and Peace Diplomacy, 59–61, 72; Israeli, “Ha-ma’avak,” 144–45. 82. Stein, The Balfour Declaration, 384. 83. Evans, United Sates Policy and the Partition of Turkey, 5–45; Brecher, “Revisiting Ambassador Morgenthau’s Turkish Peace Mission,” 357; Friedman, The Question of Palestine, 211–308. 84. Letter to Ronald Graham, July 6 1917, in Weizmann, The Letters and Papers, 463. 85. Friedman, The Question of Palestine, 142. 86. Schneer, The Balfour Declaration, 289–300; Karsh and Karsh, Empires of the Sand, 251–52. 87. Schneer, The Balfour Declaration, 263–64; Reinharz, Chaim Weizmann, 146. 88. Rothwell, British War Aims and Peace Diplomacy, 62–63; Brecher, “Revisiting Ambassador Morgenthau’s Turkish Peace Mission,” 358. 89. Schneer, The Balfour Declaration, 264; Rothwell, British War Aims and Peace Diplomacy, 129. 90. Letters to Charles P. Scott, March 23, 1917, and Jacob de Haas, May 10, 1917, in Weizmann, The Letters and Papers, 346, 406. 91. Letter to Charles P. Scott, March 23,1917, and note of interview with Lord Robert Cecil, April 25, 1917, in ibid., 346–47, 375–78. 92. Letter to Joseph Cowen, March 26, 1917, in ibid., 348. 93. Letter to Charles P. Scott, March 23, 1917, in ibid., 346. 94. Ibid. ; and letter to Jacob de Haas, May 10, 1917, in ibid., 406 n. 6; Stein, The Balfour Declaration, 462. 95. Letter to Charles P. Scott, March 23, 1917, in Weizmann, The Letters and Papers, 347. 96. Weizmann, Trial and Error, 246. 97. Reinharz, Chaim Weizmann, 157. 99. Brecher, “Revisiting Ambassador Morgenthau’s Turkish Peace Mission,” 357; Reinharz, Chaim Weizmann, 157. 100. Weizmann, Trial and Error, 246. 101. Letters to Nahum Sokolow, April 4, 1917, and Louis D. Brandeis, April 8, 1917, in Weizmann, The Letters and Papers, 351, 357. 102. Letters to Harry Sacher, June 11, 1917, and Sir Ronald Graham, June 13, 1917, in ibid., 436–42. 103. Letter to Harry Sacher, June 11, 1917, in ibid., 437. 104. Stein, The Balfour Declaration, 355. 105. Adelson, Mark Sykes, 234; letter to Charles P. Scott, June 26, 1917, in Weizmann, The Letters and Papers, 453 n. 4. 106. Stein, The Balfour Declaration, 355; Israeli, “Ha-ma’avak,” 145; Rothwell, British War Aims and Peace Diplomacy, 128; Friedman, The Question of Palestine, 210, 219; Shmuel Tolkowsky, Yoman tziyoni-medini, 120–21. 107. Stein, The Balfour Declaration, 356. 109. Reinharz, Chaim Weizmann, 160–61. 110. Letter to Vera Weizmann, June 30, 1917, in Weizmann, The Letters and Papers, 456. 111. Stein, The Balfour Declaration, 356; letter to Sir Ronald Graham, July 6, 1917, in Weizmann, The Letters and Papers, 463. 112. Weizmann, Trial and Error, 249–50. 113. Reinharz, Chaim Weizmann, 164. 114. Brecher, “Revisiting Ambassador Morgenthau’s Turkish Peace Mission,” 360–61. 115. Letter to Sir Ronald Graham, July 6, 1917, in Weizmann, The Letters and Papers, 461. 116. Stein, The Balfour Declaration, 145–46; Reinharz, Chaim Weizmann, 112–13. 117. Stein, The Balfour Declaration, 120; Reinharz, Chaim Weizmann, 67–68. 118. Stein, The Balfour Declaration, 120. 119. Reinharz, Chaim Weizmann, 69. 120. Letter to Sir Ronald Graham, June 13, 1917, in Weizmann, The Letters and Papers, 442. 122. Ibid., 442 n. 17. 124. Gillon, “The Antecedents of the Balfour Declaration,” 131. 125. Stein, The Balfour Declaration, 459–61; and see below. 128. Letter to Harry Sacher, June 20, 1917, in Weizmann, The Letters and Papers, 445; Reinharz, Chaim Weizmann, 151–52. 129. Stein, The Balfour Declaration, 462–65; Reinharz, Chaim Weizmann, 151–52. 130. Edy Kaufman, “The French Pro-Zionist Declarations,” 383–84. 131. Stein, The Balfour Declaration, 462–65; Reinharz, Chaim Weizmann, 151–52. 132. Letter to Charles P. Scott, March 23, 1917, in Weizmann, The Letters and Papers, 346. 133. Stein, The Balfour Declaration, 415–18. 134. Letter to Sir Ronald Graham, June 13, 1917, in Weizmann, The Letters and Papers, 442 n. 17. 135. Letters to Charles P. Scott, June 20, 1917, June 26, 1917, in ibid., 446, 450–54. See also: Gutwein, “Ha-gormim le-pirsum hatzharat Balfour”. 136. Letter to Harry Sacher, June 20, 1917, in Weizmann, The Letters and Papers, 445. 137. Reinharz, Chaim Weizmann, 151–52. 138. Letter to Harry Sacher, June 20, 1917, in Weizmann, The Letters and Papers, 445. 139. Ibid., 445 n. 11. 140. Stein, The Balfour Declaration, 466. 141. Ibid., 465; Tolkowsky, Yoman tziyoni-medini, 133. 142. Stein, The Balfour Declaration, 124. 143. Reinharz, Chaim Weizmann, 172–78. 145. Reinharz, Chaim Weizmann, 182–87. 146. Letter to Charles P. Scott, September 13, 1917, in Weizmann, The Letters and Papers, 510. 147. Tolkowsky, Yoman tziyoni-medini, 192. 151. Tolkowsky, Yoman tziyoni-medini, 172. 152. Stein, The Balfour Declaration, 467–72. 153. Reinharz, Chaim Weizmann, 177–79. 155. Schneer, The Balfour Declaration, 195, 328; Sanders, The High Walls of Jerusalem, 548, 623–24. 156. Schneer, The Balfour Declaration, 321–32. 157. Stein, The Balfour Declaration, 664. 158. Friedman, The Question of Palestine, 255–57. 159. Stein, The Balfour Declaration, 484, 497–500. 160. Basheer, Edwin Montagu and the Balfour Declaration, 5–8. 162. Reinharz, Chaim Weizmann, 189–90. 163. Stein, The Balfour Declaration, 504–5; Reinharz, Chaim Weizmann, 189–92. 164. Reinharz, Chaim Weizmann, 195; Stein, The Balfour Declaration, 509–10. 165. Stein, The Balfour Declaration, 509–13; Reinharz, Chaim Weizmann, 195–96. 166. Stein, The Balfour Declaration, 514. 167. Ibid., 514, 664; Reinharz, Chaim Weizmann, 196. 168. Friedman, The Question of Palestine, 267–68; Reinharz, Chaim Weizmann, 196–98; Stein, The Balfour Declaration, 515–19. 169. Letter to Louis D. Brandeis, October 7, 1917, in Weizmann, The Letters and Papers, 524; Weizmann, Trial and Error, 259. 170. Lipman, “Anglo-Jewish Leaders and the Balfour Declaration,” 155; Stein, The Balfour Declaration, 514–22; Reinharz, Chaim Weizmann, 196–97; Friedman, The Question of Palestine, 267–68. 171. Vital, Zionism, 286; Lipman, “Anglo-Jewish Leaders and the Balfour Declaration,” 155–56; Cohen, English Zionists and British Jews, 303–4; Stein, The Balfour Declaration, 520–24. 172. Lipman, “Anglo-Jewish Leaders and the Balfour Declaration,” 157. 173. Letter to Gaston Wormser, October 16, 1917, in Weizmann, The Letters and Papers, 536. 174. Cohen, English Zionists and British Jews, 303–4. 175. Letter to Herbert Samuel, October 10, 1917, in Weizmann, The Letters and Papers, 532. 176. Lipman, “Anglo-Jewish Leaders and the Balfour Declaration,” 153–57, 170–80. 177. Stein, The Balfour Declaration, 519–33; Friedman, The Question of Palestine, 274. 178. Reinharz, Chaim Weizmann, 200–1. 179. Lebow, “Woodrow Wilson and the Balfour Declaration,” 501–2. 180. Ibid., 521–23; Brecher, “Woodrow Wilson and the Origins of the Arab-Israeli Conflict,” 27–29. 181. Friedman, The Question of Palestine, 277–78. 182. Stein, The Balfour Declaration, 500. 183. Ibid., 546; Sanders, The High Walls of Jerusalem, 610. 184. Stein, The Balfour Declaration, 547. 185. Gutwein, The Divided Elite, 336–96. 186. Reinharz, Chaim Weizmann, 180. 187. Gutwein, The Divided Elite, 336–96. 188. Lipman, “Anglo-Jewish Leaders and the Balfour Declaration,” 155. 190. Ibid., 5–17; Waley, Edwin Montagu, 139–41; Stein, The Balfour Declaration, 496–501; Reinharz, Chaim Weizmann, 180–81, 195–209; Friedman, The Question of Palestine, 259–62, 266–69. 191. Gutwein, The Divided Elite, 363–65. 192. Millman, Pessimism and British War Policy, 130–42; Gollin, Proconsul in Politics, 535–38. 193. Friedman, The Question of Palestine, 220; Rothwell, British War Aims and Peace Diplomacy, 130–31, 171–72. 194. Friedman, The Question of Palestine, 257. 195. Stein, The Balfour Declaration, 317. 196. Basheer, Edwin Montagu and the Balfour Declaration, 11; Friedman, The Question of Palestine, 262. 197. Stein, The Balfour Declaration, 176. 198. Basheer, Edwin Montagu and the Balfour Declaration, 10–11. 199. Stein, The Balfour Declaration, 222. Adelson, Roger. “The Formation of British Policy towards the Middle East, 1914–1918.” PhD diss., Washington University, 1972. Adelson, Roger. Mark Sykes: Portrait of an Amateur. London: Cape, 1975. Auron, Yair. The Banality of Indifference: Zionism and the Armenian Genocide. New Brunswick, NJ: Transaction Publishers, 2009. Barzilay-Yegar, Devorah. “Crisis as Turning Point: Chaim Weizmann in World War I.” Studies in Zionism no. 6 (Autumn 1982): 241–54. Basheer, Rahseen M. ed. Edwin Montagu and the Balfour Declaration. London: Arab League Office, 1966. Brecher, F. W. “Revisiting Ambassador Morgenthau’s Turkish Peace Mission of 1917.” Middle Eastern Studies 24, no. 3 (1988): 357–63. Brecher, Frank W. “Woodrow Wilson and the Origins of the Arab-Israeli Conflict.” American Jewish Archives 39, no. 1 (1987): 23–47. Cohen, Stuart A. English Zionists and British Jews. Princeton: Princeton University Press, 1982. Davis, Richard. The English Rothschilds. Chapel Hill: University of North Carolina Press, 1984. Evans, Laurence. United States Policy and the Partition of Turkey, 1914–1924. Baltimore, MD: Johns Hopkins Press, 1965. Ferguson, Niall. The World’s Banker: The History of the House of Rothschild. London: Weidenfeld & Nicolson, 1998. Friedman, Isaiah. The Question of Palestine, 1914–1918: British-Jewish-Arab Relations. London: Routledge & K. Paul, 1973. Gillon, D. Z. “The Antecedents of the Balfour Declaration.” Middle Eastern Studies 5, no. 2 (1969): 131–50. Gollin, A. M. Proconsul in Politics: A Study of Lord Milner in Opposition and in Power. New York: Macmillan, 1964. Gutwein, Daniel. The Divided Elite: Economics, Politics and Anglo-Jewry, 1882–1917. Leiden: E.J. Brill, 1992. Gutwein, Danny. “Ha-gormim le-pirsum hatzharat Balfour: Chaim Weizmann, ha-tnu’ah ha-tziyonit ve-ha-imperi’alizm ha-briti” (The reasons for the publication of the Balfour Declaraton: Chaim Weizmann, the Zionist movement and British imperialism). Forthcoming. Hirschler, Gertrude. “Malcolm James Artoon.” In Encyclopedia of Zionism and Israel, edited by Raphael Patai, vol. 2, p. 748. New York: Herzl Press, 1971. Israeli, David. “Ha-ma’avak al me’oravut ha-tziyonim be-milhemet ha-olam ha-rishonah, 1917–1918” [The struggle for Zionist involvement in the First World War, 1917–1918]. Ha-Tziyonut 7 (1981): 135–68. Jenkins, Roy. Asquith. London: Collins, 1986. Karsh, Efraim, and Karsh, Inari. Empires of the Sand: The Struggle for Mastery in the Middle East, 1789–1923. Cambridge, MA: Harvard University Press, 2001. Kaufman, Edy. “The French Pro-Zionist Declarations of 1917–1918.” Middle Eastern Studies 15, no. 3 (1979): 374–407. Kernek, Sterling J. Distractions of Peace during War: The Lloyd George Government’s Reactions to Woodrow Wilson, December 1916–November, 1918. Philadelphia, PA: American Philosophical Society, 1975. Kynaston, David. The City of London. vol. 2. London: Chatto & Windus, 1995. Lebow, Richard N. “Woodrow Wilson and the Balfour Declaration.” Journal of Modern History 40, no. 4 (1968): 521–23. Lipman, Vivian D. “Anglo-Jewish Leaders and the Balfour Declaration.” Michael 10 (1986): 153–80. Malcolm, James A. “Dr. Weizmann and the Balfour Declaration.” New Judea 1–2 (1944): 9–10. Malcolm, James A. Origins of the Balfour Declaration: Dr. Weizmann’s Contribution. Typewritten ms. London, British Museum, 1944. Malcolm, James A. Palestine and the Jewish Problem: The Zionist Solution. Typewritten ms. London: n.p., 1936. Martin, Lawrence W. Peace without Victory: Woodrow Wilson and the British Liberals. Port Washington, NY: Kennikat Press, 1973. Millman, Brock. Pessimism and British War Policy 1916–1919. London: Frank Cass, 2001. Reinharz, Jehuda. Chaim Weizmann: The Making of a Statesman. New York: Oxford University Press, 1993. Renton, James. “Changing Languages of Empire and the Orient: Britain and the Invention of the Middle East, 1917–1918.” Historical Journal 50, no. 3 (2007): 645–67. Rothschild, Miriam. Dear Lord Rothschild: Birds, Butterflies and History. London: Hutchinson, 1983. Rothwell, Victor. British War Aims and Peace Diplomacy, 1914–1918. Oxford: Clarendon Press, 1971. Rowland, Peter. David Lloyd George: A Biography. New York: Macmillan, 1976. Sanders, Ronald. The High Walls of Jerusalem: A History of the Balfour Declaration and the Birth of the British Mandate for Palestine. New York: Holt, Rinehart and Winston, 1983. Scally, Robert J. The Origins of the Lloyd George Coalition: The Politics of Social-Imperialism, 1900–1918. Princeton: Princeton University Press, 1975. Schama, Simon. Two Rothschilds and the Land of Israel. New York: Knopf, 1978. Schneer, Jonathan. The Balfour Declaration: The Origins of the Arab-Israeli Conflict. New York: Random House, 2010. Scott, Charles Prestwich. The Political Diaries of C. P. Scott, 1911–1928, edited by Trevor Wilson. Ithaca, NY: Cornell University Press, 1970. Stein, Leonard. The Balfour Declaration. London: Vallentine Mitchell, 1961. Sykes, Christopher. Cross Roads to Israel: Palestine from Balfour to Bevin. London: Collins, 1965. Tolkowsky, Shmuel. Yoman tziyoni-medini: London, 1915–1919, likrat hatzharat Balfour u-ve-ikvoteiha [A Zionist-political diary: London, 1915–1919, towards the Balfour Declaration and its aftermath]. Jerusalem: Ha-Sifriyah ha-Tziyonit, 1981. Vereté, Mayir. “The Balfour Declaration and Its Makers.” Middle Eastern Studies 6, no. 1 (1970): 48–76. Vital, David. Zionism: The Crucial Phase. Oxford: Clarendon Press, 1987. Waley, S. D. Edwin Montagu: Memoir and an Account of His Visits to India. London: Asia Publishing House, 1964. Wasserstein, Bernard. Herbert Samuel: A Political Life. Oxford: Clarendon Press, 1992. Weizmann, Chaim. The Letters and Papers of Chaim Weizmann. Edited by Leonard Stein. Vol. 7, Series A: Letters (August 1914–November 1917). Jerusalem: Israel Universities Press, 1975. Weizmann, Chaim. Trial and Error: The Autobiography of Chaim Weizmann. London: East and West Library, 1950.